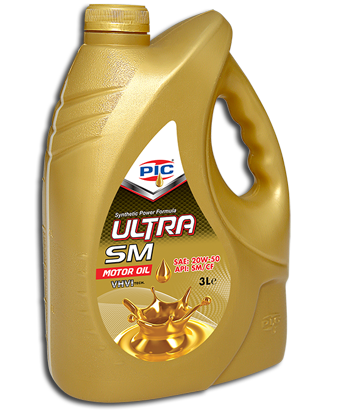 ULTRA SM SAE-20W-50 Motor Oil (3L) is a premium quality Fully-Synthetic engine oil for use where the highest level of performance required. It is a very high quality engine oil for modern high performance vehicles. ULTRA SM SAE-20W-50 Motor Oil (3L) is used in all naturally aspirated, fuel injected turbo-charged and multivalve passenger cars light duty vehicles etc. Highest possible engine protection under extreme operating conditions.